This is a scalable context timeline. 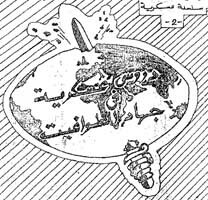 It contains events related to the event 1996: British Intelligence and Al-Qaeda Allegedly Cooperate in Plot to Assassinate Libyan Leader. You can narrow or broaden the context of this timeline by adjusting the zoom level. The lower the scale, the more relevant the items on average will be, while the higher the scale, the less relevant the items, on average, will be. In January 2002, the Observer reports that Anas al-Liby, one of al-Qaeda’s top leaders, has been recently captured in Afghanistan. Al-Liby is considered one of bin Laden’s computer experts, and a long-time member of al-Qaeda’s ruling council. [Observer, 1/20/2002] In early March 2002, the London Times mentions al-Liby’s capture as an established fact. [London Times, 3/11/2002] Then, in late March 2002, the London Times and the Washington Post report that al-Liby has been recently captured in Sudan. 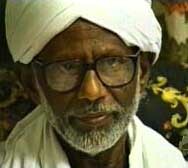 Anonymous CIA sources and anonymous “senior administration officials” claim that al-Liby has been captured, but the Sudanese and US governments officially deny the arrest. The London Times says the arrest “has been kept a closely guarded secret.” Some senior officials who told the Post al-Liby had been arrested later change their account and say it was someone with a similar name. 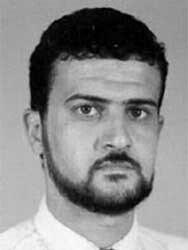 [London Times, 3/17/2002; Washington Post, 3/19/2002; Washington Post, 3/20/2002] Al-Liby remains on the FBI’s most wanted list, with a $25 million reward on his name. It will later be lowered to $5 million. 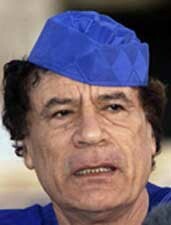 [London Times, 5/8/2005] Al-Liby appears to have collaborated with British intelligence to kill Libyan leader Colonel Mu’ammar al-Qadhafi in 1996 and was allowed to openly live in Britain until 2000 (see Late 1995-May 2000; 1996). In 2003, it will be reported that al-Liby was captured in Sudan and then secretly deported to Egypt, where he is wanted for an attempted assassination of Egyptian President Hosni Mubarak (see (Late 1995)). [Scotland on Sunday, 10/26/2003] In 2007, human rights groups will list al-Liby as a possible ghost prisoner still held by the US (see June 7, 2007).